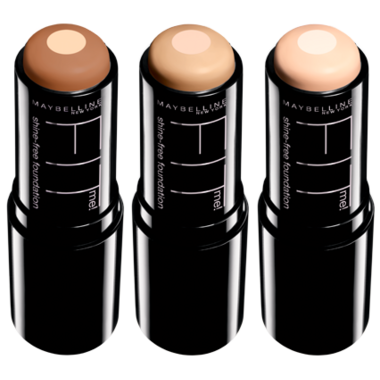 Get flawless, shine-free skin instantly and on-the-go for tailor-made mattifying coverage. The anti-shine core has ultra-lightweight powders built in to the stick foundation to instantly dissolve excess oil. As far as stick foundations go, this is probably my favourite. I usually find stick foundations to be thick and very oily. This one isnâ€™t like that at all. I would recommend a moisturizing primer if you have any dry areas as it can cling to them, but otherwise itâ€™s a light feeling, medium coverage stick which blends out beautifully (I use my oval blending brush from Real Techniques) and is more of a matte finish but not a dry looking matte. It takes a few minutes for me to get ready with this foundation. I just draw a few lines around my face, blend it with my favourite brush, then a little blush, mascara and lipstick and out the door. Does a great job of concealing too!! Highly recommend!! I absolutely LOVE this foundation! I use much less than other products because I just draw a few lines on my face and then blend it in. It blends into a beautiful powder finish that doesn't settle into creases and lasts all day. You need to try this!! Nice texture and blends in very well into my skin - great colour match for my skin tone. Can be chalky if skin is not properly moisturized. Good value for your money. When I bought this moisturizer I bought two others as well since it is only now at the ripe old age of sixty that I'm starting to use these products. Well, this one just took the price; I love it, the color is perfect for my super fair skin and will definitely buy again. Best foundation I have ever used! My face doesn't feel greasy and doesn't shine. Vey nice makeup. I particularly like how long it lasts as well. Colour blend well and doesn't feel or look cakey. Outstanding foundation. It goes on smoothly, doesn't block pores and provides lovely coverage. Plus I use it as a concealer as well. Probably the best product from this particular makeup company.